A different kind of highlight! There was a post over in Pow wow about an article in the SC Wildlife magazine on Owen Jeffery. I had not been over there in a while and since I was working in that area late today, I stopped in to see him and Tom. 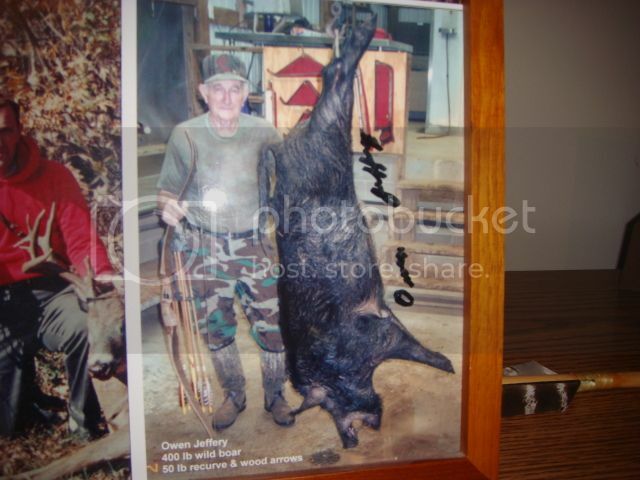 When I went in Owen was holding a picture of a big hog he killed a few years back. I looked at him and "jokingly" asked him why he was admiring that picture. He stated with the normal Owen Jeffery smile on his face, "because I can!" I busted out laughing. Yep, I twisted his arm and got him to sign it for me! He is a humble Icon of the archery industry!!! My highlight for the week! Who would not be proud of this hog! My other autographed highlight that he signed for me over 15 years ago! Re: A different kind of highlight! For those of you who do not know who Owen is just copy and google this, "Owen Jeffery" "Bear Archery". Enjoy the history! That man has taught me more about the outdoors than I could ever dream of. He made me the bowhunter that I am today and changed my outlook on harvesting game. 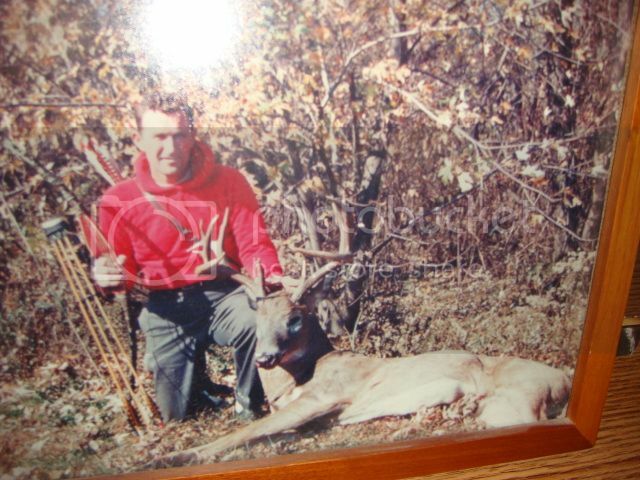 He is truly a legend, and if it were not for him bowhunting would not be we're it is today. He brought both Hoyt and bear to where they are today and anyone that isn't familiar with him should check him out! That is really neat, thank you for sharing and congrats to Owen!